Professor Harries gained her PhD from University College London in November 1994 and has since worked at several institutions including the Biomedical Research Centre at the University of Dundee, the MRC Cell Mutation Unit at the University of Brighton and the Institute of Biomedical and Clinical Sciences at the University of Exeter Medical School working with Professor Andrew Hattersley and Professor Sian Ellard. Following the award of an RCUK fellowship in 2006, She is now an Associate Professor in Molecular Genetics at UEMS. Lorna has developed an interest in gene regulation and alternative messenger RNA processing in endocrine disease and human ageing. 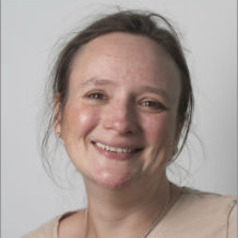 She now heads the ‘RNA-mediated mechanisms of disease’ group at UEMS. She has written over 90 peer-reviewed articles and was awarded the Diabetes UK RD Lawrence Prize Lectureship in 2011. She is co-ordinator of the annual UEMS ‘Men in White’ school outreach with Dr, John Chilton. This event brings in year 9 students from schools stretching from South Devon to North Somerset and gives them hands-on experience of work in a research laboratory. Lorna is a STEMnet ambassador and also an Exeter Catalyst Champion for Public Engagement.